[SatNews] Space Systems/Loral (SSL) and Asia Satellite Telecommunications Co. Ltd. (AsiaSat) have announced that AsiaSat 6 has arrived at the Cape Canaveral Air Force Station in Florida, where the satellite will be launched by SpaceX’s Falcon 9 launch vehicle next month, following the launch of AsiaSat 8 currently scheduled for next week. AsiaSat 6 is designed to provide broadcasting, telecommunications and broadband services across the Asia-Pacific region. When launched, AsiaSat 6 will be positioned at 120 degrees East longitude, where it will help fulfill the fast growing demand for quality satellite services. Equipped with 28 transponders, AsiaSat 6 has two beams, one global beam and one regional beam, offering region-wide coverage over Asia, Australasia, Central Asia, and the Pacific islands, with enhanced power and look angles over Pacific Rim countries. 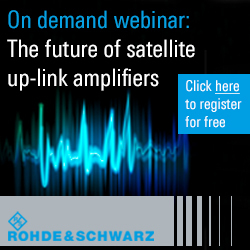 AsiaSat 6 is based on the SSL 1300 platform, which can support a broad range of applications and technologies. This is the fourth satellite that SSL has provided to AsiaSat and the company continues to build an additional satellite, AsiaSat 9, which SSL counts among its backlog of 23 geostationary satellites. 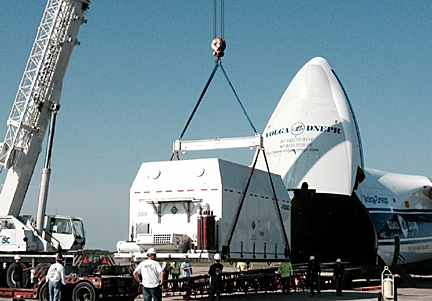 Offloading the AsiaSat 6 satellite from a transport aircraft at Cape Canaveral. 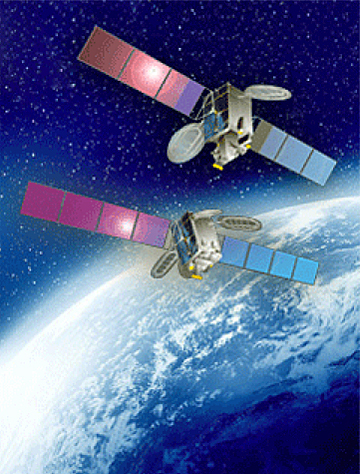 Artistic rendition of AsiaSat 6 (above) and AsiaSat 8 (below).